Autograph Document Signed “Jona. Moulton” 1pp. 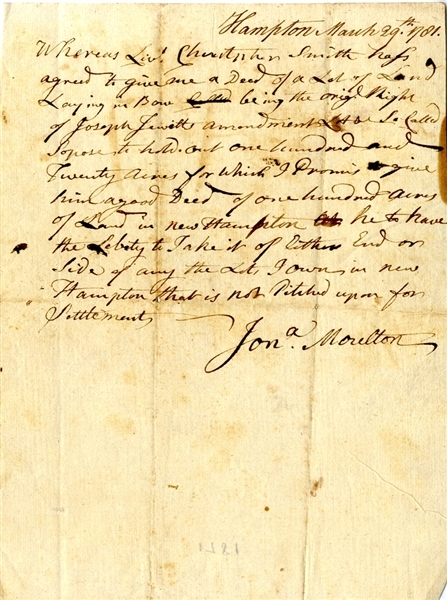 quarto, Hampton, March 29, 1781, and reads in part: “...Whereas Liv. Christopher Smith has agreed to give me a deed of a lot of land...for which I promise to give him a good deed of one hundred acres of land in New Hampton. Very good condition.